It all started on a college campus... before we even met each other we knew that we were called… Both with similar upbringings, both with a heart for missions and evangelism, both with a story to tell about a radical moment in our young teen lives when we knew we were called...but called to do what? When you are 18 years old it is hard to see past your 21st birthday let alone try to decipher what a lifetime of fulltime ministry might look like, but even in our immaturity, we knew that our future started on a college campus. College is where we began to form our true identity in Christ, where we discovered the beauty and the hardships of living in the real world, where we came to understand that relationships are hard but so very important. It’s where we truly began to grasp the heart of God, the meaning of the great commission, and the importance of growing in the knowledge and understanding of the Bible. Yes, college is also where we fell in love. We weren't even finished with our studies yet when we decided to commit our lives to each other and get married, knowing full well that our future together would be in ministry. In fact, our wedding was more a commissioning service then a mere exchanging of nuptials. Now, in our almost nine years of marriage, we have served in three different churches, birthed three children, led 10 mission trips, gone to 8 youth winter camps, rocked many a worship band, put on VBSs, led small groups and bible studies, put on outreach events and preached countless sermons. We can honestly say, without hesitation, that serving God is FUN! At this time in our lives, we find ourselves at a crossroads. We have spent most of 2012 seeking God's will about a possible job change. The church we were currently serving under, Christian Life Center, was going through a pastoral leadership change which left us feeling uncertain about our future. We spent many sleepless nights and late hours tossing, turning and discussing what our future might hold. 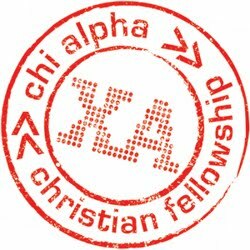 During this restless time I went to a conference, heard a missionary speak from a college campus ministry called Chi Alpha and was immediately drawn to it. I had already had a heart for higher education and speaking into the lives of students and that moment was the first inkling of the possible answer to our restless prayers. Over the next few months, we decided to check into the Chi Alpha ministry in our area that happened to be on the Stanford campus. STANDFORD?! We went to one of their meetings and undeniably felt the Holy Spirit while we sat in a room full of college students who were sincerely worshiping and seeking God with abandon. We drove home that night feeling as if we had just witnessed something supernatural and decided to seek God about being a part of this amazing ministry. A few months passed and we remained uncertain with our current church situation. We got word that the board had found their new pastor and our uneasiness increased. We tossed and turned all that night and in the morning I shared with Kendra that I had heard God speak to me during a wakeful hour. God said "I am telling you what to do." I didn't even have to ask, "What is it Lord?" I already knew what is was, God was calling us to Chi Alpha. A few weeks later CLC’s new pastor and the board affirmed our calling and released us into our new ministry. We now find ourselves on this journey back to where it all began...a college campus! This time we will be returning to college as campus missionaries to Stanford University!!! I heard a sermon last Sunday that reminded me of something I already knew but may have forgotten along the way and that is, we don't always have to understand what God is doing we just have to know that God is in it! We believe God is in this and we are so excited to continue on our journey of serving him in this new endeavor! We are currently living in San Diego with our gracious family and friends. Our goal is to take these next four months to raise enough of our funding to be able to start with Chi Alpha in January. We are excited about the opportunity and flexibility we will have in this next season to reconnect with many of you, to not only share what God is doing in our lives but to also catch up on what God is doing in yours. We would love to keep you updated through our facebook page (www.facebook.com/BrandonKendrasChiAlphaPage) and blog (www.bkchialpha.com/). So please make sure to like our page and leave us a comment anytime about what God is doing in your life! We would love to hear it! Let’s walk through this faith journey together. Thank you for your prayers and support! I just love when you two share your hearts! Praying for you through this new season. Love you both!